The design of these mouthpieces is the result of research and collaboration with several distinguished jazz saxophonists. 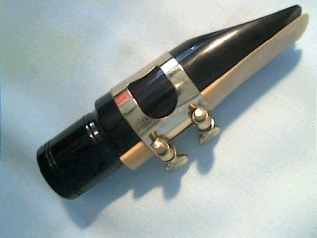 The mouthpieces are made from the same high quality materials as the clarinet mouthpieces. Also available in bronzite, a special blend of synthetic hard rubber with a high bronze/brass/copper content, producing mouthpieces which combine the tone and projection of metal with the warmth of ebonite.